Extending any home can be challenging but bungalows present very particular issues. Creating additional floor space without compromising the layout and flow of the home can be problematic, as can ensuring enough natural light and working with the existing roof line. With adequate roof space, however, it might be possible to carry out a loft conversion, effectively adding an additional storey to the property. 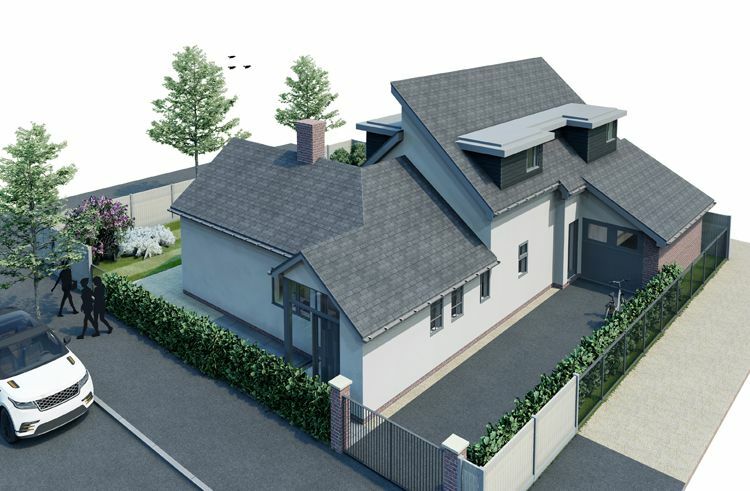 This would see it transformed into a chalet bungalow and could be a superb way of adding extra bedroom and bathroom space. You can, of course, go even further and take the existing roof right off and then go on to build a full second floor. In this situation, the roof would, of course, be replaced at a much higher level and you would retain loft space. Very often bungalows sit on generous plots and therefore a rear, side or even front extension at ground floor level might be possible to give you more space all on one level. Other options could include adding a garden room or orangery as some bungalows do lend themselves well to the concept of “bringing the outside in” or, if you have an integral garage, there might the possibility of converting this into living space. Whatever your aspirations for your bungalow, I will do my best to help you realise them and to work with the planners to ensure a smooth and satisfactory outcome for everyone.